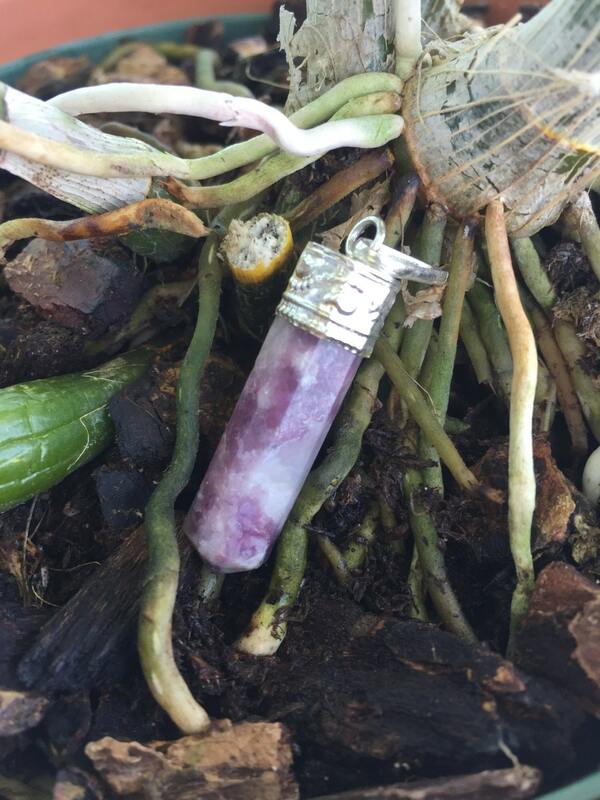 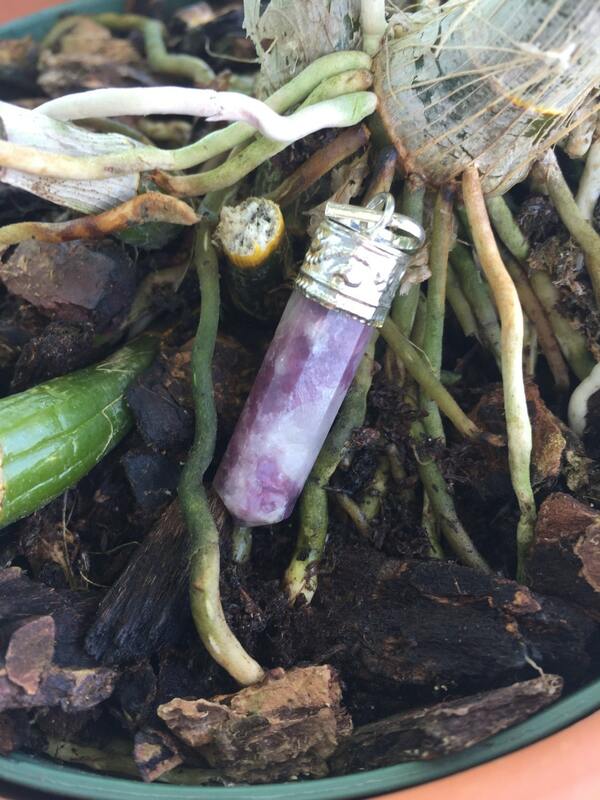 Lepidolite Crystal Pendulum releases negative energy while bringing Calmin peace to the wearer. 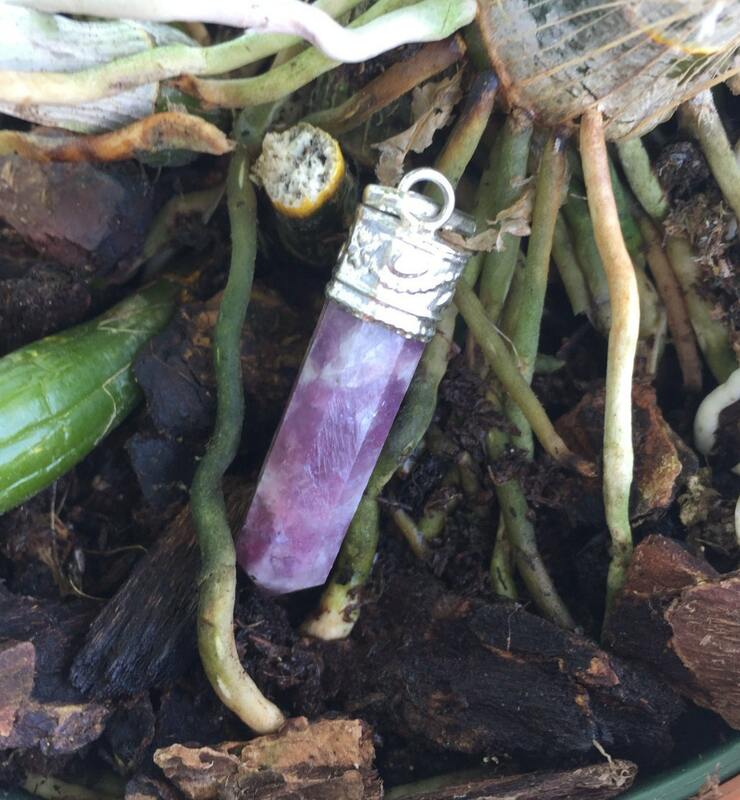 Known as a stone of transition helping to release old, negative behavior patterns bringing deep emotional healing and reduction of stress and depression. 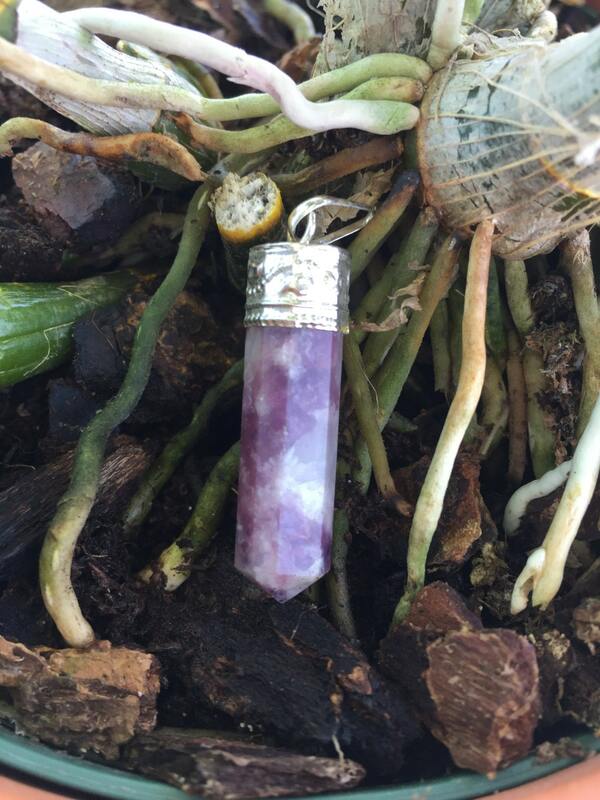 It helps to take you forward into the future by encouraging independence, self-love and trust.